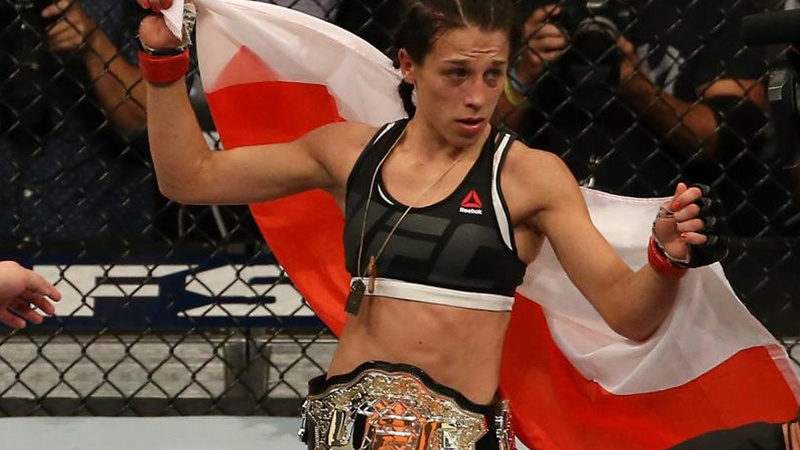 Joanna Jedrzejczyk is the best Polish UFC competitor of all time. She is a former six-time UFC Women’s Strawweight Champion. Joanna Jedrzejczyk is currently 31 years old according to his/her date of birth August 18, 1987. Joanna Jedrzejczyk has a similar fighting style to Chuck Liddell. As a master of sprawl and brawl, JJ is known for very precise and effective shots. In the stand-up, she mostly mixes up punches to the head and body shots with various elbows, high kicks, and knees. 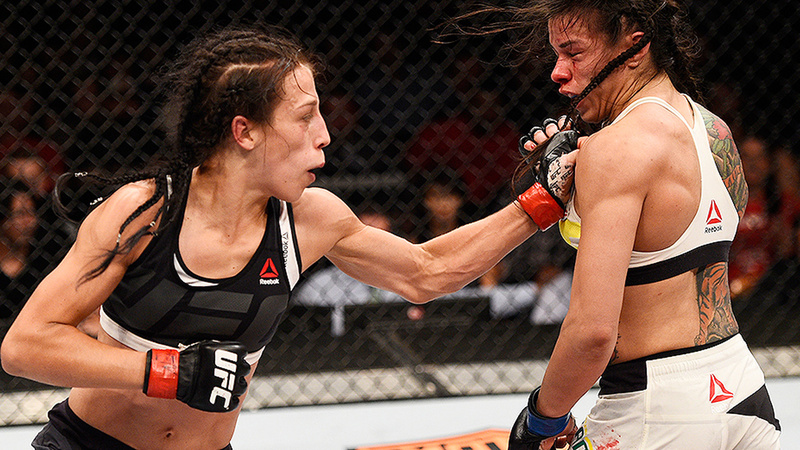 Joanna Jedrzejczyk is known for trash talk, intimidating and challenging her opponents before the fight. MMA media gave her a nickname “must-see TV”. JJ is a master striker with perfectly timed shots and the highest percentage of successful strikes in the Strawweight division. Her trademarks are also great footwork and world-class endurance. Joanna keeps her guard high as a true kickboxer. Joanna Jedrzejczyk had her professional MMA debut against Sylwia Juskiewicz on May 19, 2012, and won via unanimous decision. She was undefeated in the smaller promotions with the score of 6-0, and UFC signed her in July 2014, after a tremendous right cross third-round KO over Rosi Sexton. 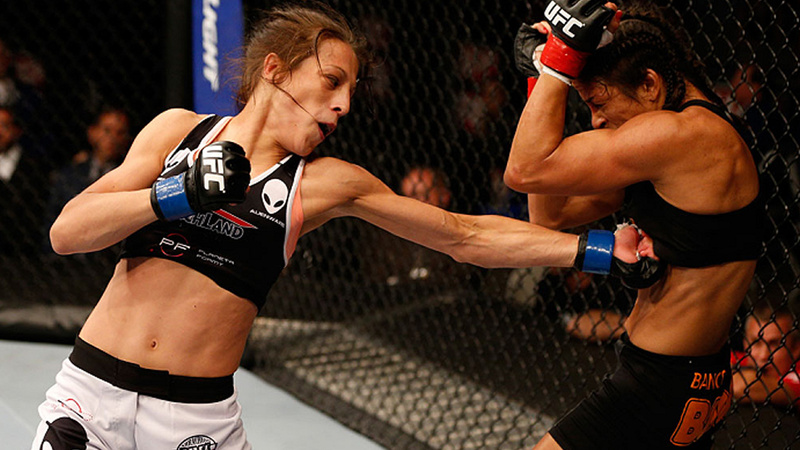 Joanna Jedrzejczyk had her UFC debut at UFC On Fox 12, on July 26, 2014, in San Jose, California. 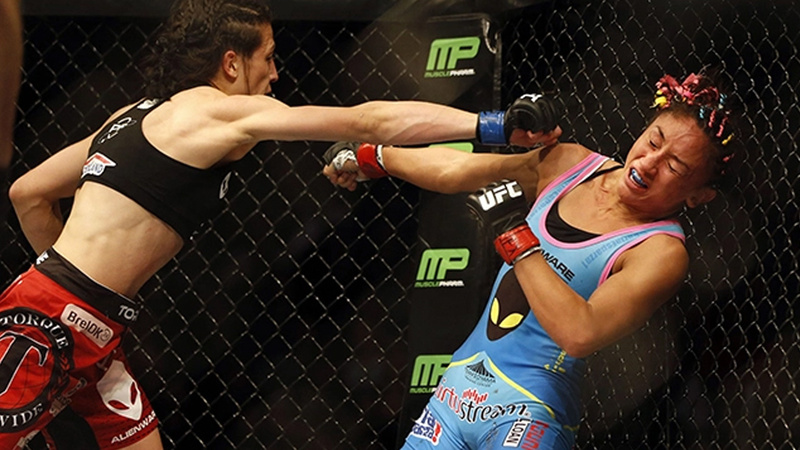 JJ defeated Juliana Lima via unanimous decision, despite Lima missed weight. Her most difficult UFC fight ever was the one against Claudia Gadelha at UFC On Fox 13, on December 13, 2014. 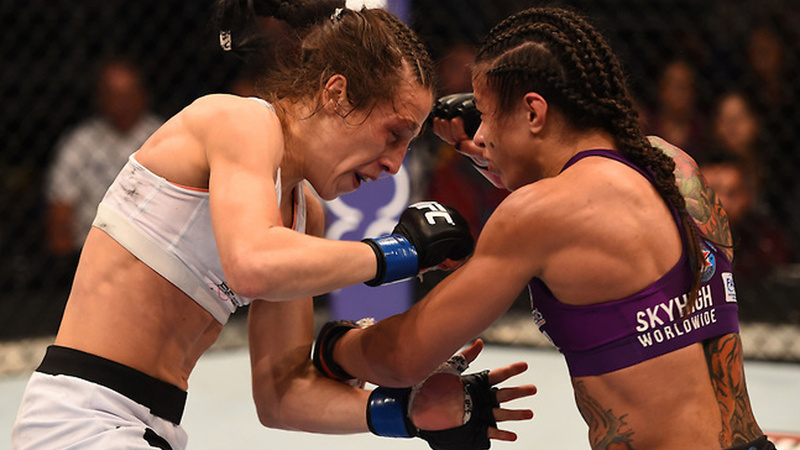 After three very interesting rounds, the judges rewarded Joanna Jedrzejczyk with a split decision victory. It was one of the most controversial Strawweight victories, and Gadelha’s coach even claimed he would appeal “robbery loss”. 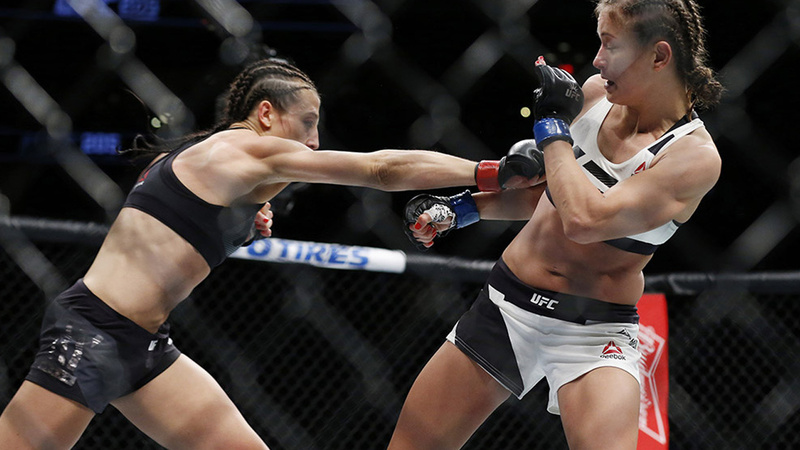 Joanna Jedrzejczyk faced Carla Esparza on March 14, 2015, in Dallas, Texas. The fight was one-sided from the beginning. Esparza had several unsuccessful takedown attempts, while JJ was demolishing her off distance and demonstrating what does the perfectly-timed sprawl means. Joanna won in the second round via KO after a barrage of punches. Joanna became the first Polish UFC champion, the first female European to win the UFC Title, and the third European to become the UFC champion. The Polish superstar fought Jessica Penne at UFC Fight Night 69 in the main event of the evening, on June 20, 2015, in Berlin, Germany. Joanna won the fight after a great barrage of punches and knees while her opponent was on the fence in the third round, and received Performance Of The Night Bonus. JJ had to undergo surgery after the match due to a broken thumb. 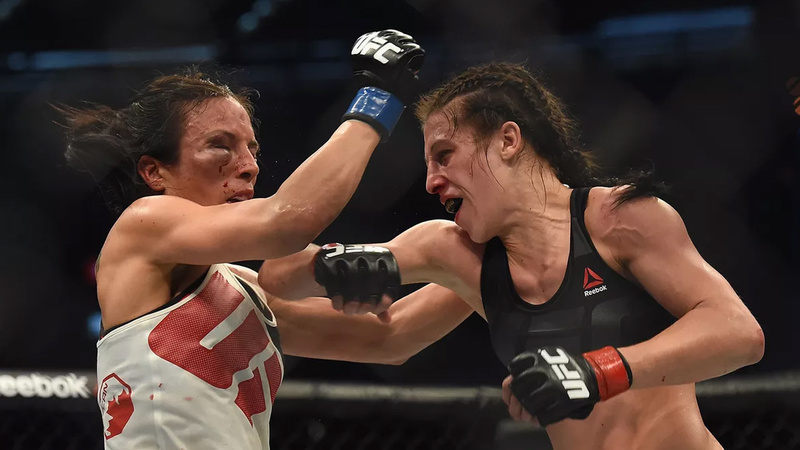 Joanna Jedrzejczyk fought Valerie Letourneau at UFC 193, on November 15, 2015, in Melbourne, Australia, in the co-main event of the evening. JJ won via unanimous decision, setting two new records – 220 significant strikes and 70 successful leg kicks in the Championship fight. Before the rematch with Claudia Gadelha, Joanna Jedrzejczyk trash talked her boxing coach who doesn’t speak English. Gadelha started arguing and claimed JJ should thank the judges and it lead to a verbal war between two of them. Claudia Gadelha got a chance for a rematch at Ultimate Fighter 26 Finale, on July 8, 2016, in Las Vegas, Nevada. Joanna won the fight via unanimous decision. In the post-fight interview, Joanna apologized, but Gadelha said she would respect her as a champion, but not as a human. Gadelha stated in the post-fight press conference that “Joanna’s boyfriend doesn’t do his job”, and she was not planning to forgive Joanna. In the fourth title defense, JJ defeated a Polish competitor, Karolina Kowalkiewicz, at UFC 205, on November 12, 2016, in Madison Square Garden, New York City, via unanimous decision. This was the first UFC event in this arena. Joanna Jedrzejczyk faced Jessica Andrade at UFC 211, on May 13, 2017, in Dallas, Texas, in the co-main event of the evening. She broke few records in this fight, writing new pages in UFC history – most significant strikes landed in one match (225), the highest significant strike differential in one match (142), and the most leg kicks thrown in a single fight (75). The two faced on November 4, 2017, in New York City, New York. Joanna threatened at the weigh-in and Rose Namajunas was a big underdog in this fight. 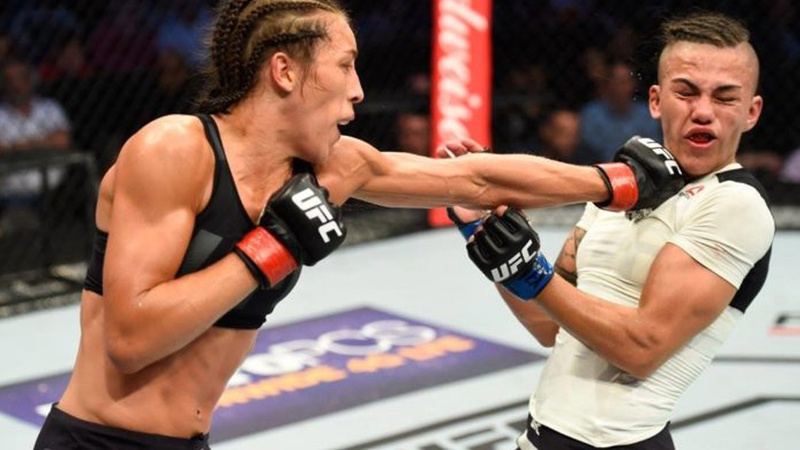 In the third minute of the first round, Thug Rose punched Joanna Jedrzejczyk with a strong overhand, followed by a left cross which knocked her down. Thug Rose continued to strike on the ground and Joanna lost the title. Joanna Jedrzejczyk and Rose Namajunas are scheduled to fight again at UFC 223, on April 7, 2018, in Brooklyn, New York. This time, both of them are very strong on words. We will see who is going to win this war. Joanna Jedrzejczyk is engaged to Przemyslaw Buta. She has a twin-sister Katarzyna, and one older sister Ewa.